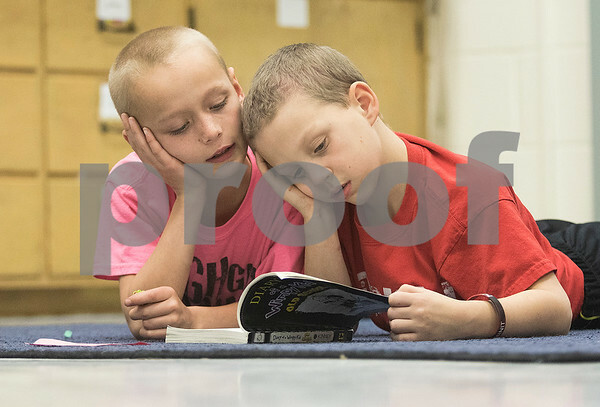 Fourth graders Shayden McNew (left), 9, and Jack Ager (right), 8, take turns reading paragraphs from "Diary of a Whimpy Kid: Old School" in Erin Lind's classroom at Littlejohn Elementary School in DeKalb on Friday, Dec. 11, 2015. Littlejohn Elementary School scored amongest the highest in DeKalb Dist. 428 with their Partnership for Assessment of Readiness for College and Careers (PARCC) scores.